Question: What is “No CAPTCHA reCAPTCHA”? Answer: A ruse devised by Google to extract some sweet, free, Mechanical Turk-like digital labor from its users. So far reCAPTCHA allowed Google to extract digital labor from users, i.e. to make users produce value for Google without them knowing. When you needed to retrieve the occasional password or to post a comment on certains blogs, you had to “verify that you were human” by typing in words that would ultimately help Google Books digitize texts, or detect house numbers to improve Google Street View. Well, not simply that. It also grabs a bunch of personal data along the way. How? Via simple questions, subsequently linked to your profile on websites connected to its API: personal preferences, opinions, behaviours… yeah, questions as innocent as “your favorite color” can actually tell a lot about you. Moreover, what “No CAPTCHA” does is basically track your past behaviour. If it has enough data to feast upon, because you have cookies and web browser history on, it puts you on a whitelist and lets you in whichever service it is attached to. But if you are browsing in private mode or if it finds the info it has on you does not suffice to appease its hunger for data, it will face you with even more annoying reCAPTCHAs. Yes, even more annoying: why limit to unintelligible words, Google ingeneers seemed to say, when you can force users to recognize forms, tag pictures, etc? It’s not only single Google Books or Google Street View instances you’re recognizing. Now, you’re actually training Google’s computer vision algorithms to recognize faces, detect locations, reconstruct scenes. 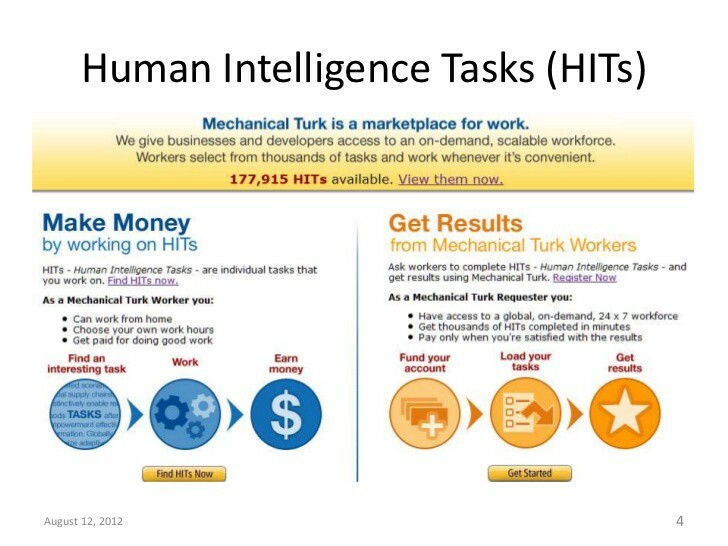 These are the kind of Human Intelligence Tasks (HITs) that are performed by members of another popular service: Amazon Mechanical Turk, a crowdsourcing marketplace where humans “help machines” to perform such assignments. Only difference: “turkers” receive monetary payments for the microwork they provide. 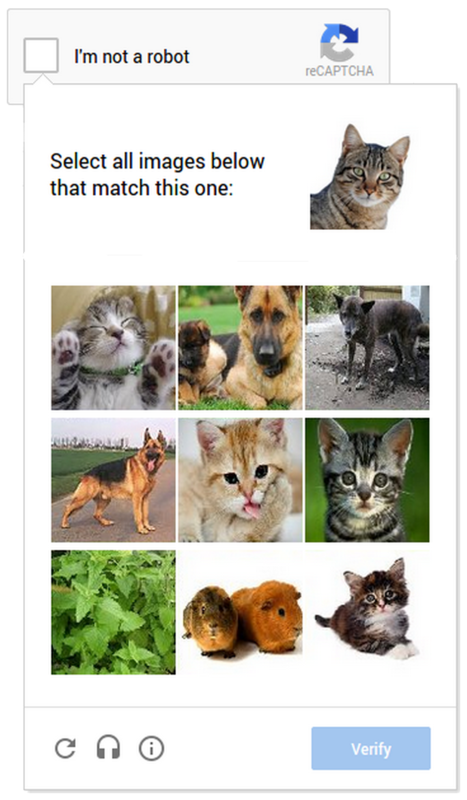 Google’s “noCAPTCHERs” don’t. At present, turkers have engaged a complex process of community-building centered around recognizing their role as workers. Will no CAPTCHA lead to the same awareness or, on the contrary, will it defuse any attempt to create support and collective action among its users? Anyway, enough with this rant. Here’s the official presentation of No CAPTCHA reCAPTCHA and… keep up the good digital labor.